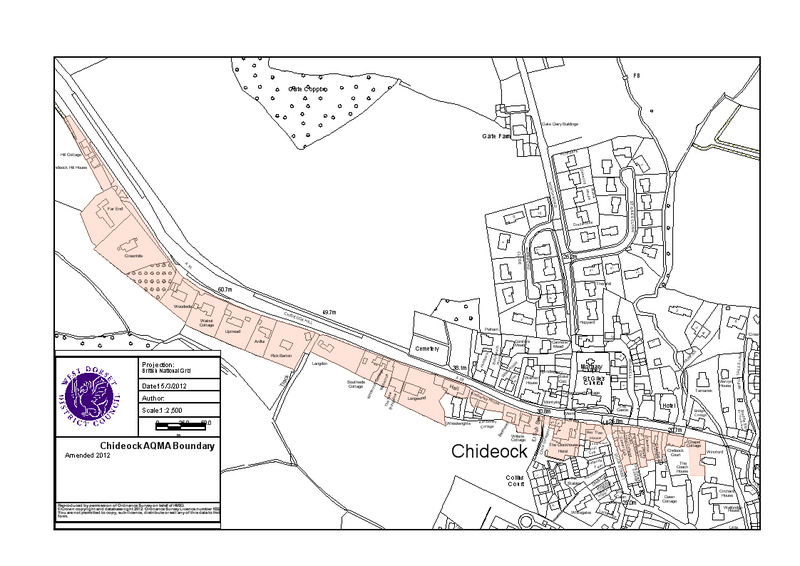 There are several locations in Chideock where where the annual mean objective for nitrogen dioxide (NO2) exceeds the legal limit of 40µg per cubic metre of air. An Air Quality Management Area was declared for Chideock in May 2007 (https://www.dorsetforyou.gov.uk/environmental-health/documents/air-quality-management-order-2007-chideock.pdf). The area covered was reduced in 2012. Nitrogen dioxide (NO2) is monitored by diffusion tubes at various locations along Main Street and Chideock Hill, which are collected and analysed monthly.